‘Riding in Synchronicity’ means to ride in perfect synchronicity and harmony, becoming like a centaur where you become part of the horse and the horse becomes part of you. To achieve this we need to understand the horse’s physical body and the biomechanics of how their body works. It is vitally important for horses to be ridden in correct posture and biomechanical balance if they are to enjoy the experience, stay sound, be healthy and reach their highest athletic potential. This course teaches the fundamental principles and “how to” of learning to ride with harmony, effortless and ease. Start learning the secrets to happy and successful partnerships with horses. Whether you just want to ride for pleasure or have high aspirations for competition these secrets will be invaluable. These fundamental keys will develop you to be a great rider and will be of great benefit whether you are relatively new to riding or had many years in the saddle. Even high level competition riders have been greatly helped by this teaching. If you are a raw beginner please contact me before booking to make sure that this course will be appropriate for you to come with your horse. There are some common principles that are found at the highest levels in all great sports people – athletes, martial artists or dancers – these principles also apply to horsemanship and riding. I have learned these principles through feldenkrais and martial arts, as well as what I have learned with horses. These principles lead us to riding in complete balance and harmony with the horse and without any brace or resistance to the horse. They include being centered, aligned and using our body in a fluid and unified way – this occurs when we are relaxing completely – the opposite of being in a state of contraction or tension. The techniques presented will lead to you feeling more balanced and that means safer and more comfortable in your riding, as well as allowing your horse to move with healthy biomechanics. Healthy biomechanics not only lead to your horse reaching their highest athletic potential in performance but also result in them being calmer, happier and having less resistance. To achieve these aims, the teaching includes meditation, mind and body awareness and body balancing exercises. I am very excited to share all of this with you because it will be a game changer for you and your horse. Come along with or without your horse. Of course if you can bring your horse along your learning will be maximized as nothing beats hands on experience and having direct feedback from a supportive instructor to accelerate your learning. However the other option for attending these courses is to come and “Participate without a horse”. 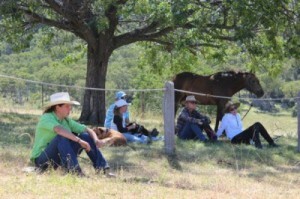 This is very different than “fence sitting” as you are not only observing demonstrations and the participants with their horses but will also actively participate in the theory sessions, Q & A sessions, body awareness and balance sessions, meditation sessions and simulations, all of which make up a big percentage of the course. The investment to participate with your horse is $595 ( save $200) for the 3 days (Early Bird price) if you pay 50% before March 30th after that price is $795. The investment to participate without your horse is $95/day or $285 for the 3 days EB price – paid before March 30th 0r $115 day after that. PLEASE NOTE: If you are a raw beginner and/or feel very unconfident or unsafe in handling or riding your horse please contact me before registering and booking into this course with your horse. 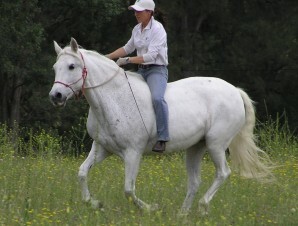 Your horse must be started and rideable unless you just choose to do the ground work aspects. No stallions without prior permission. Participants in this course will have needed to have previously attended an Introductory clinic with me. On some occasions people may request permission to attend by submitting a video of themselves working with their horse on the ground and riding. Please email me for details regarding this. The content of this course will be based upon the following, but will be adapted to specifically target the needs of the horses and riders that are attending. We will begin by reviewing, expanding and improving upon the concepts learned in the Introductory course. Then advance the ground skills with more precision, more responsiveness and with a better understanding of the biomechanics of the horse. Explore transitions, changes of direction, sideways and also using longer lines. Both you and your horse will develop confidence which means safety and better performance. 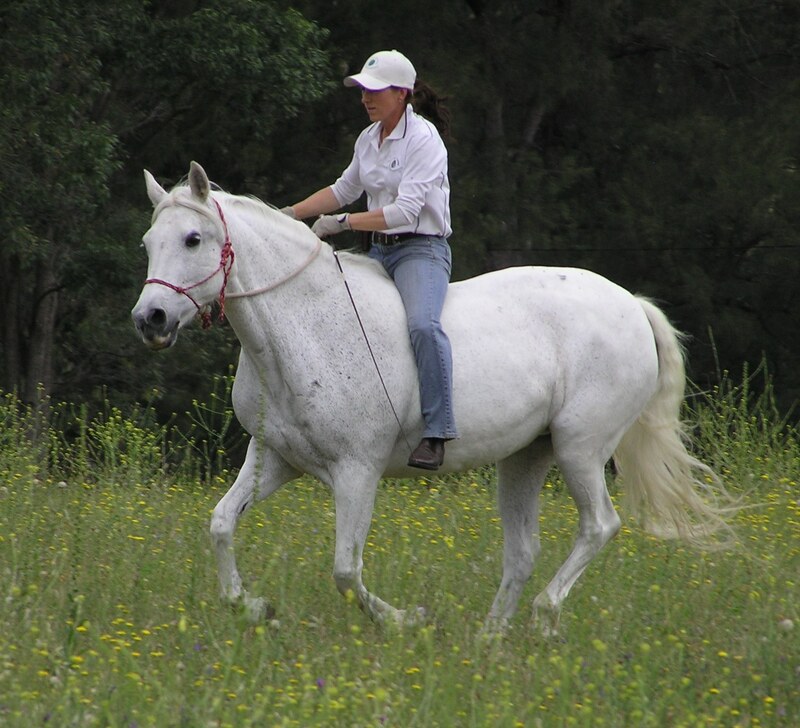 Learn exercises to improve rider balance and learn more details about riding dynamics and how to flow with the horse in perfect harmony, this includes learning about trot diagonals and canter leads. Learn about posture, self carriage, balance and biomechanics for both the horse and rider and how to enhance these through ground work and riding. Start to develop HQ engagement and collection in the horse. Reading and understanding your horse more accurately. Deepening your Connection with your horse, developing intuitive communication. Getting your horse more calm, connected, responsive and athletic. Developing Feel, Energy awareness and how to use energy. Becoming clear and more precise with Body Language. Using ground skills as a diagnostic tool and for your horse’s emotions and as physical therapy for your horse. Using obstacles to create visually clear mental pictures and “games” to help your horse learn. Putting ground skills to purpose eg. trailer loading, crossing bridges, creeks etc. How to better “go with” your horses movement. Helping the horse to better follow your focus and line of direction. 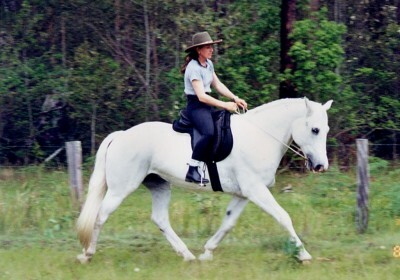 Riding from your centre with a unified body. Refining your aids, by using your body more and the reins less. Clearing emotions in your horse and yourself. Learning bodywork and horse care practices to improve your horse’s physical health and well being as well as improve and develop their physical capability, athleticism and performance. Of course if you can bring your horse along your learning will be maximized as nothing beats hands on experience and having direct feedback from a supportive instructor to accelerate your learning. 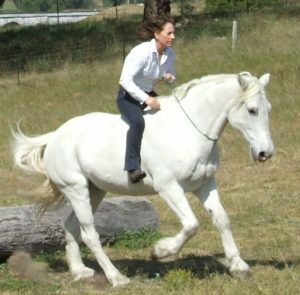 However the other option for attending these courses is to come and participate without a horse, in which case you would actively participate in all of the theory sessions, Q & A sessions, body awareness and balance sessions, healing/meditation sessions and most simulations, as well as watch the demonstrations and observe those with horses practice and experiment. Those participating without horses are not just auditors (listeners) or fence sitters – they are active participants and receive equal benefit, coaching and participation in the healing, meditation and simulation sessions as those bringing horses. 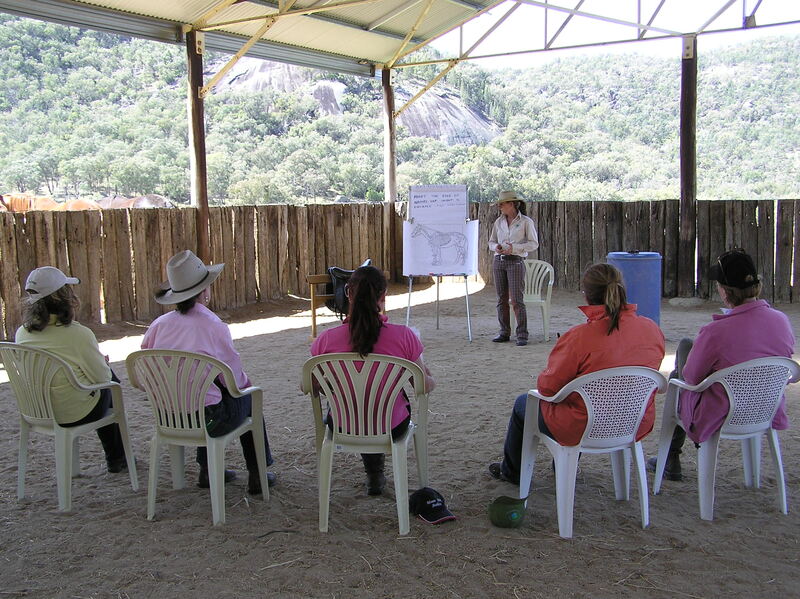 These sessions without horses make up a large percentage of the course. So to be fair to those bringing horses we need to make the fee for those coming without horses equitable and their is HUGE value in coming without your horse. Taking people without horses also opens up the opportunity for more people to be able to attend. Intermediate Level Course – for those who have done the Introductory Groundwork course and ideally Introductory Riding courses with me previously. However it may be possible to do the course without having done the Intro Riding course with special permission, if you meet certain requirements. The investment to participate without your horse is $690. (There is a day rate if you can’t attend the whole 6 days – EB $115/day). PLEASE NOTE: If you are a raw beginner and/or feel very unconfident or unsafe in handling or riding your horse please contact me before registering and booking into this course with your horse. No stallions without prior permission. 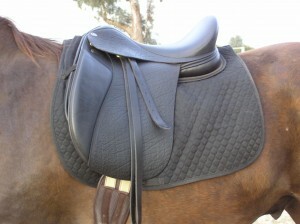 Private lessons ($120/hr), Saddle fittings and opportunities to test ride the BALANCE saddles are available on request. Saddle fittings with the BALANCE saddles take 1 1/2 to 2 hrs. cost $175. Please email to get more details or to book a session. Please let me know as soon as you can if you are interested in one of these sessions so we can plan and make sure we can fit you in. You can make your payments by direct deposit, cheque, credit card ( 2.5% surcharge) or by PayPal (2.6% surcharge). The details of how to pay by dd, cheque or cc can all be found on the registration form below. If you wish to pay by PayPal fill out the online registration form and indicate that you wish to pay by PayPal and I will send you a PayPal invoice. No refunds are possible for cancellations unless a substitute participant is found. However under special circumstances and at the discretion of the instructor payment may be credited to another course. CREDIT CARD (MC/Visa) a 2% surcharge applies: Please print off the registration form, fill out your credit card details and post to: Mel Fleming Course Registrations PO Box 131 Moonbi NSW 2353 or you can submit this form and call with your credit card details 0428 385 745. For your security please do not fill in your credit card details on the form you are submitting via the internet, only on the form you are sending in the post.